Multivariate relative risks of quintiles of Dietary Approaches to Stop Hypertension (DASH) score for coronary heart disease (CHD) according to risk factor status at baseline (multivariate adjusted for the same factors listed in Table 3, except for the respective stratifying factor). A, Body mass index lower than 25 vs 25 or higher (calculated as weight in kilograms divided by height in meters squared) (P = .10 for interaction); B, nonsmokers vs smokers (P = .07 for interaction); C, no hypertension vs with hypertension (P = .84 for interaction); and D, physical activity >median vs ≤median (P = .40 for interaction). Ref indicates reference. Multivariate relative risks of quintiles of Dietary Approaches to Stop Hypertension (DASH) score for stroke according to risk factor status at baseline (multivariate adjusted for the same factors listed in Table 3, except for the respective stratifying factor). A, Body mass index lower than 25 vs 25 or higher (calculated as weight in kilograms divided by height in meters squared) (P = .44 for interaction); B, nonsmokers vs smokers (P = .09 for interaction); C, no hypertension vs with hypertension (P = .05 for interaction); and D, physical activity >median vs ≤median (P = .15 for interaction). Ref indicates reference. Background The Dietary Approaches to Stop Hypertension (DASH) diet has been shown to lower blood pressure, but little is known about its long-term effect on cardiovascular end points. Our objective was to assess the association between a DASH-style diet adherence score and risk of coronary heart disease (CHD) and stroke in women. Methods In this prospective cohort study, diet was assessed 7 times during 24 years of follow-up (1980-2004) with validated food frequency questionnaires. A DASH score based on 8 food and nutrient components (fruits, vegetables, whole grains, nuts and legumes, low-fat dairy, red and processed meats, sweetened beverages, and sodium) was calculated. Lifestyle and medical information was collected biennially with a questionnaire. The Cox proportional hazard model was used to adjust for potential confounders. The study population comprised 88 517 female nurses aged 34 to 59 years without a history of cardiovascular disease or diabetes in 1980. The main outcome measures were the numbers of confirmed incident cases of nonfatal myocardial infarction, CHD death, and stroke. Results We documented 2129 cases of incident nonfatal myocardial infarction, 976 CHD deaths, and 3105 cases of stroke. After adjustment for age, smoking, and other cardiovascular risk factors, the relative risks of CHD across quintiles of the DASH score were 1.0, 0.99, 0.86, 0.87, and 0.76 (95% confidence interval, 0.67-0.85) (P < .001 for trend). The magnitude of risk difference was similar for nonfatal myocardial infarction and fatal CHD. The DASH score was also significantly associated with lower risk of stroke (multivariate relative risks across quintiles of the DASH score were 1.0, 0.92, 0.91, 0.89, and 0.82) (P = .002 for trend). Cross-sectional analysis in a subgroup of women with blood samples showed that the DASH score was significantly associated with lower plasma levels of C-reactive protein (P = .008 for trend) and interleukin 6 (P = .04 for trend). Conclusion Adherence to the DASH-style diet is associated with a lower risk of CHD and stroke among middle-aged women during 24 years of follow-up. Since hypertension and plasma lipid levels are strong risk factors for cardiovascular disease (CVD), the DASH diet may lower the risk of coronary heart disease (CHD) and stroke. 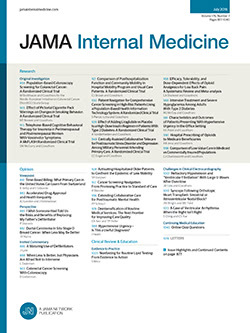 However, among members of the PREMIER (Prospective Registry Evaluating Outcomes After Myocardial Infarction: Events and Recovery) trial, a dietary index with 3 components (dairy, saturated fat, and fruits and vegetables) developed to measure adherence to the DASH diet was not significantly associated with blood pressure after accounting for weight loss.6 It would be difficult to conduct a long-term randomized clinical trial with CVD as an end point, especially for primary prevention. Data from observational studies with individuals following a diet similar to the DASH pattern may be helpful in elucidating the long-term effectiveness of the DASH diet. Therefore, we developed a score that reflects adherence to the DASH-style diet. Since materials are already available for individual diet planning and hence adherence assessment,4 our goal in the construct of the score is to highlight key components of the DASH diet, including the sodium component, and rank individuals by their consumption of foods emphasized in the DASH diet. In this prospective analysis, we assessed the association between adherence to a DASH-style diet and incidence of CHD and stroke during 24 years of follow-up in the Nurses' Health Study cohort. We also assessed the cross-sectional association between the DASH score and biomarkers of CVD in a subsample of the cohort. The Nurses' Health Study (NHS) began in 1976, when 121 700 female nurses aged 30 to 55 years living in 11 US states responded to a questionnaire regarding medical, lifestyle, and other health-related information.7 Beginning in 1976, questionnaires have been sent biennially to update this information. Follow-up was complete for more than 95% of the potential person-time up to 2004. In 1980, the participants completed a 61-item food frequency questionnaire (FFQ). In 1984, the FFQ was expanded to 116 items. Similar FFQs were sent in 1986, 1990, 1994, 1998, and 2002. For this analysis, we included women who completed the 1980 FFQ with fewer than 70 missing items and total energy intake (as calculated from the FFQ) between 500 and 3500 kcal/d. At baseline, we excluded those with a history of CHD, stroke, or diabetes because diagnoses of these conditions may lead to changes in diet. After these exclusions, 88 517 women with follow-up from 1980 through 2004 were included in the analyses. This study was approved by the institutional review board of the Brigham and Women's Hospital, Boston, Massachusetts. The FFQs were designed to assess average food intake over the preceding year. A standard portion size and 9 possible frequency-of-consumption responses, ranging from “never or less than once per month ” to “6 or more times per day” was given for each food item. Total energy and nutrient intake was calculated by summing up energy or nutrients from all foods. Previous validation studies among members of the NHS revealed good correlations between nutrients assessed by the FFQ and multiple weeks of food records completed over the preceding year.8 For example, correlation coefficients between 1986 FFQ and diet records obtained in 1986 were 0.68 for saturated fat, 0.48 for polyunsaturated fat, and 0.78 for crude fiber. The mean correlation coefficient between frequencies of intake of 55 foods assessed by 2 FFQ 12 months apart was 0.57.9 For example, correlation coefficients between FFQs and diet records were 0.69 for broccoli, 0.17 for spinach, and 0.80 for apples. We constructed the DASH score based on food and nutrients emphasized or minimized in the DASH diet,4 focusing on 8 components: high intake of fruits, vegetables, nuts and legumes, low-fat dairy products, and whole grains and low intake of sodium, sweetened beverages, and red and processed meats. The first 4 components were directly targeted in the DASH diet, which also included lower consumption of red and processed meats and greater consumption of whole grains.10 The original DASH diet limits saturated fat intake, which would be in part reflected by a deemphasis on red and processed meats in our score. We calculated a DASH score for each FFQ. For each of the components, we classified women into quintiles according to their intake ranking. Component score for fruits, vegetables, nuts and legumes, low-fat dairy products, and whole grains is the women's quintile ranking. For example, quintile 1 is assigned 1 point and quintile 5, 5 points. For sodium, red and processed meats, and sweetened beverages, low intake was desired. Therefore, the lowest quintile was given a score of 5 points and the highest quintile, 1 point (Table 1). We then summed up the component scores to obtain an overall DASH score ranging from 8 to 40. Because sodium was not measured well with an FFQ, scoring by quintiles would be least prone to misclassification. For this analysis, we ascertained incident cases of CHD (nonfatal myocardial infarction [MI] or fatal CHD) and stroke that occurred after the return of the 1980 questionnaire in women but before June 1, 2004. We requested permission to review medical records from women who reported having a nonfatal MI or stroke on each biennial questionnaire. Physicians unaware of the self-reported risk factor status systematically reviewed the records. For MI, we noted whether it was fatal or nonfatal, and MI was classified as confirmed if the criteria of the World Health Organization were met, specifically, symptoms and either electrocardiographic changes or elevated cardiac enzyme levels.11 We included confirmed and probable cases for the analyses. Fatal CHD was confirmed by hospital records or an autopsy or by CHD listed as the cause of death on the death certificate, if it was listed as an underlying and the most plausible cause of death and if evidence of previous CHD was available. Strokes were confirmed by medical record review using National Survey of Stroke criteria,12 which require a constellation of neurologic deficits, sudden or rapid in onset, and duration of at least 24 hours or until death. We noted whether stroke was ischemic (embolic or thrombotic) or hemorrhagic (subarachnoid or intracerebral) according to Perth Community Stroke Study criteria and based on findings from computed tomography, magnetic resonance imaging, or autopsy. Deaths were identified from state vital statistics records and the National Death Index or reported by the families and the postal system. Blood was collected in 1989-1990. Each willing participant was sent a blood collection kit containing instructions and needed supplies (eg, blood tubes and needles). Each participant made arrangements for blood to be drawn, packaged the sample in an enclosed cool pack, and sent it to the laboratory by overnight courier. Almost all the samples arrived within 26 hours of the blood draw. On their arrival at the laboratory, the whole-blood samples were centrifuged and aliquotted and stored at temperatures no higher than −80°C. The lifestyles and dietary intakes of women who returned a blood sample were in general similar to those who did not provide a blood sample. All biomarkers were measured in the Clinical Chemistry Laboratory at the Children's Hospital in Boston. High-sensitivity C-reactive protein (CRP) levels were measured by a latex-enhanced turbidmetric assay on a Hitachi 911 (Denka Seiken, Tokyo, Japan). Interleukin 6 (IL-6) levels were measured by an ultrasensitive enzyme-linked immunosorbent assay (R&D Systems, Minneapolis, Minnesota). Interassay coefficients of variation were 3.4% to 3.8% for CRP and 5.8% to 8.2% for IL-6. C-reactive protein measurement was available for 1176 participants and IL-6 measurement for 1160 participants. Total cholesterol was measured enzymatically,13 with a coefficient of variation lower than 1.7%. Concentrations of fasting triglycerides and high-density lipoprotein cholesterol were analyzed simultaneously on the Hitachi 911, with a coefficient of variation of 1.75% and 2.5%, respectively. Low-density lipoprotein cholesterol was determined by a homogeneous direct method (Genzyme Corp, Cambridge, Massachusetts), with a coefficient of variation lower than 3.1%. We had 490 samples for high-density lipoprotein cholesterol and total cholesterol, 478 for low-density lipoprotein cholesterol, and 436 for fasting triglycerides. Body mass index (BMI) (calculated as weight in kilograms divided by height in meters squared) was derived from weight reported on each biennial questionnaire and height reported in 1976. In each biennial questionnaire, we also assessed smoking status (including number of cigarettes), frequency and number of aspirin tablets used, multivitamin intake, and menopausal status and use of postmenopausal hormones. Leisure-time physical activity was measured biennially (beginning in 1986) with a validated questionnaire asking about the average time spent on 10 common activities. The information is then summed and calculated as metabolic equivalent hours.14 In 1980 and 1982, we measured hours of moderate to vigorous physical activity. We used Cox proportional hazard modeling to assess the association between the DASH score and risk of CHD and stroke, including separate models for fatal and nonfatal CHD and ischemic and hemorrhagic stroke, since the causes of these stroke types may differ. To reduce random within-person variation and to best represent long-term dietary intake, we calculated cumulative means of the DASH score from our repeated FFQ administrations.15 For example, the DASH score in 1980 was used to predict CHD and stroke occurrence from 1980 to 1984, and the mean score from 1980 and 1984 was used to predict CHD and stroke risk from 1984 to 1986. We adjusted for the following potential confounders, which were updated at each 2-year cycle: age (continuous), smoking (never, past, or current with cigarette use of 1-14/d, 15-24/d, ≥25/d, or missing [current smokers but unknown quantity]), BMI (quintiles), menopausal status and postmenopausal hormone use (premenopausal and never, past, or current hormone use), energy intake (quintiles), multivitamin intake (yes/no), alcohol intake (0 g/d, up to 5 g/d, 5-15 g/d, or >15 g/d), family history of CHD (yes/no), physical activity (quintiles), and aspirin use (<1/wk, 1-2/wk, 3-6/wk, 7-14/wk, or ≥15/wk). Statistical analysis was conducted with SAS version 9 statistical software (SAS Institute Inc, Cary, NC). In secondary regression analysis, we additionally adjusted for intake of trans fat and omega-3 fatty acids to explore the influence of the DASH score on CHD and stroke beyond the score's association with these 2 fatty acids. We also stratified the analysis by major risk factors at baseline to evaluate potential interactions between these factors and the DASH score in relation to CHD and stroke risk. During 24 years of follow-up, we documented 2317 cases of CHD, of which 2129 were nonfatal and 976 fatal, and 2317 cases of stroke, of which 1242 were ischemic and 440 hemorrhagic (the remainder could not be clearly classified). Women with higher DASH scores tended to use multivitamins, exercise more, and consume more fiber and omega-3 fatty acids but less saturated fat, trans fat, and total energy. They were also less likely to be current smokers and more likely to report a history of hypertension (Table 2). Because the 1980 FFQ has only 66 items, we present 1990 dietary intake data, which is the mid point of follow-up. We observed an inverse association between the DASH score and risk of both CHD and stroke.After we adjusted for potential confounders, women in the top quintile of the DASH score, compared with those in the bottom quintile, had a relative risk (RR) of 0.76 (95% confidence interval [CI], 0.67-0.85; P<.001 for trend) for CHD (Table 3). Additional adjustment for trans fat and omega-3 fatty acids did not materially alter the results.Because history of hypertension is considered an intermediate variable, we did not adjust for it in the primary analysis. However, adjustment for history of hypertension or high cholesterol level did not change the results. This risk reduction was significant for both fatal and nonfatal CHD. When we stratified our analysis by major risk factors at baseline for CHD, there are some hints that associations with the DASH score appeared stronger among normal weight women than among overweight women (P = .10 for interaction) and for current smokers than for nonsmokers (P = .07 for interaction). Although tests for interactions were not statistically significant, the statistical power to detect interaction is lower in such subgroup analyses (Figure 1). However, the association was similar among women with and without a history of hypertension and active and sedentary women. For total stroke, the RR comparing the top to bottom quintiles of the DASH score was 0.82 (95% CI, 0.71-0.94; P = .002 for trend) (Table 4). Additional adjustment for history of hypertension and incident diabetes did not materially change any association (data not shown). When we stratified the analysis by selected risk factor status at baseline, the inverse association between the DASH score may be stronger among smokers (P = .09 for interaction) and women with hypertension (P = .05 for interaction) for total stroke (Figure 2). In a subsample of the cohort, we analyzed the cross-sectional relationship between DASH score and several lipids and biomarkers of inflammation. The DASH score was not significantly associated with blood lipid levels, but it was associated with lower CRP and IL-6 levels. After adjustment for age, smoking, and other cardiovascular risk factors, the geometric mean values of CRP across quintiles of the DASH score were 1.86 mg/L, 1.79 mg/L, 1.85 mg/L, 1.69 mg/L, and 1.48 mg/L (to convert CRP to nanomoles per liter, multiply by 9.524) (P = .008 for trend). For IL-6, geometric mean values across quintiles were 1.95 ng/L, 1.82 ng/L, 1.81 ng/L, 2.08 ng/L, and 1.69 ng/L (P = .04 for trend). In this large prospective cohort study, women with a high DASH score had lower risks of CHD and stroke. These results are consistent with data from short-term clinical trials in which individuals assigned to the DASH diet had lower systolic and diastolic blood pressures compared with controls.1,2 Because a randomized clinical trial of the DASH diet on cardiovascular end points may not be feasible, our study provides, to our knowledge, the strongest evidence to date on the long-term benefits of the DASH diet in the primary prevention of CVD among healthy subjects. Several components of our DASH score have been linked to lower blood pressure. In particular, fruits and vegetables—or plant foods in general—are associated with lower blood pressure in both cross-sectional16 and prospective17-19 observational studies in US and other populations. In a 6-month randomized trial of fruit and vegetable intake in healthy individuals, a mean increase of 1.4 servings per day resulted in a reduction of 4.0 mm Hg in systolic and 1.5 mm Hg in diastolic blood pressure, with greater reduction in the intervention group than in the control group.20 On the other hand, meat intake19 or a dietary pattern characterized by high red meat and refined grain intake21 has been associated with increased blood pressure. Our DASH score was not associated with serum lipid levels, even though our scoring criteria emphasized high whole grain, nut, and legume consumption. However, our scoring criteria did not reward high intake of unsaturated fats or plant protein. Thus, although women with a high score consumed more fiber, intake of polyunsaturated and monounsaturated fat actually were lower. Giving all components equal weight may dilute the effect of certain components. In addition, the small sample size in the cross-sectional analysis may have limited statistical power. Inflammation is now established as a pathway for atherosclerosis and CVD development.23 Components of our DASH score may also mediate cardiovascular pathophysiologic processes through inflammation. Fruits and vegetables have been linked to lower CRP levels.24 Data from our cohort also showed that dietary patterns high in fruits, vegetables, legumes, and whole grains were associated with lower CRP levels.25,26 In our cross-sectional analyses, higher DASH score was associated with lower plasma levels of CRP and IL-6. To our knowledge, there has only been 1 other scoring system to evaluate adherence to the DASH diet.6 It comprised dairy, fruits and vegetables, and saturated fat only and was not associated with blood pressure after accounting for weight loss, perhaps because of the lack of inclusion of other beneficial food groups such as whole grains or the limited range of score distribution in the sample. Our study was the first to our knowledge to examine the association between a DASH-style diet and clinical CVD outcomes. Construction of an adherence score for the DASH diet can take several approaches. The approach that most closely resembles the recommendations of National Heart, Lung, and Blood Institute, and the way the DASH diet should be followed is to determine specific intake levels for each food group according to energy requirement and then award points for adhering to the recommended level of intake. We chose not to use this approach because of the difficulty in estimating energy needs owing to incomplete physical activity information; however, the highest quintile intakes for dairy, nuts, and fruits and vegetables were within the recommended targets for DASH. A less precise approach in constructing a DASH adherence score is to choose an energy level that best approximates average energy needs (eg, 2000 kcal/d) of our cohort and assigns points for adhering to the recommended level of intake for each food group at that energy level. However, the assignment of points would still be imprecise for individuals whose energy requirement is far from the level chosen. The DASH results were published in the mid-1990s, so we do not expect a substantial portion of our cohort to follow the DASH diet. Therefore, scoring criteria that use actual food group intake levels were intended to assess the adherence to the DASH-style pattern rather than the DASH diet defined by the clinical trials. In addition, our FFQ is not designed to provide precise measurements of some dietary components, such as sodium. Therefore, meaningful cutoffs cannot be determined for those components of the DASH score. Sodium, in particular, is difficult to estimate accurately with an FFQ. However, it is a hallmark of the DASH-Sodium trial; thus, using the quintile approach would probably be least prone to misclassification. In constructing the score, we have tried the actual cutoff approach and found our results much weakened, likely owing to greater misclassification. Hence, we chose to focus on food groups and nutrients targeted by the DASH diet and award points for adhering to what it emphasizes rather than precise compliance to DASH recommendation in the number of servings from each targeted food group. We believe this approach addresses the focus of the DASH diet and at the same time allows for adequate variation in adherence to examine any potential association with CVD. As it is difficult to specify the contribution of each food group to CVD risk, we gave each food group equal weight in the overall score. The long follow-up in this analysis allowed us to assess long-term associations between the DASH score and CVD. We used repeated measurements of diet to obtain a better assessment of long-term overall diet and to reduce measurement error. The prospective nature of this analysis reduces the probability of recall bias and selection bias. In addition, a high rate of follow-up reduced potential bias due to loss to follow-up. Nevertheless, our results need to be replicated in other populations. Because other diet indexes such as the Alternate Healthy Eating Index29 and Mediterranean Diet Score35 have also been strongly associated with lower risk of CVD, the value of the DASH score as a predictor of CHD and stroke should be measured against other indexes. Although members of this cohort are middle-aged nurses, we expect the identified associations should be generalizable to middle-aged American women because the biological effects of dietary patterns should be the same for them. In conclusion, a diet that resembles the DASH eating plan, with high intake of fruits, vegetables, and whole grains, moderate intake of legumes, nuts, and low-fat dairy products, and low intake of red and processed meats and sodium, was significantly associated with lower risk of CHD and stroke in women. Correspondence: Teresa T. Fung, ScD, Department of Nutrition, Simmons College, 300 The Fenway, Boston, MA 02115 (fung@simmons.edu). Accepted for Publication: October 22, 2007. Author Contributions: Dr Hu had full access to all the data in the study and takes responsibility for the integrity of the data and the accuracy of the data analysis. Study concept and design: Fung and Hu. Acquisition of data: Rexrode, Logroscino, and Hu. Analysis and interpretation of data: Fung, Chiuve, McCullough, Rexrode, Logroscino, and Hu. Drafting of the manuscript: Fung and Logroscino. Critical revision of the manuscript for important intellectual content: Fung, Chiuve, McCullough, Rexrode, and Hu. Statistical analysis: Fung, Chiuve, Rexrode, and Hu. Obtained funding: Rexrode and Hu. Administrative, technical, and material support: Rexrode and Hu. Study supervision: Hu. Funding/Support: This study was funded by grants CA87969 and HL60712 from the National Institutes of Health.